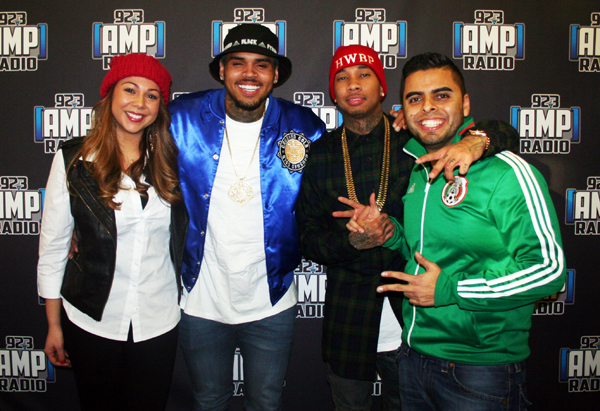 Chris Brown and Tyga did a lot of interviews during their tour and promo run earlier this year, but they might have had the most fun on WBMP (92.3 AMP Radio)/New York‘s “Shoboy in the Morning” show. Instead of asking questions they had probably answered before, Shoboy and Nina Hajian became the audience as Breezy and Tyga asked each other questions. None of the questions were messy or scandalous, but this was still a really interesting conversation! Since interviews can become mundane to the interviewer and the interviewee, don’t be afraid to think outside of the box or just do something different as “Shoboy in the Morning” did. See Chris and Tyga show off their fun sides and British accents in the video above, and watch this video to see them make a prank phone call!